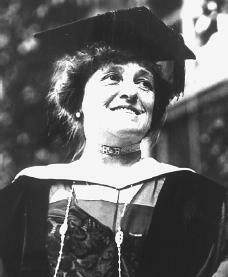 Edith Wharton, American author, chronicled the life of upper-class Americans between the late nineteenth to early twentieth century. She is best known for her novels The House of Mirth and The Age of Innocence. Edith Wharton was born Edith Newbold Jones in New York City, on January 24, probably in 1861. Like many other biographical facts, she kept her birth year secret. Gossip held that the family's English tutor—not George Frederic Jones—was really Edith's father. The truth may never be known, but Edith evidently believed the story. After the Civil War (1861–65), when Northern forces clashed with those of the South, George Jones took his family to Europe, where they could have a better quality of life. In Europe, young Edith began to develop her love of literature and writing. Back in New York City, by the age of eighteen Edith had published poems in magazines and in a privately printed volume and had experimented with fiction. However, events put off her writing career. The family's second long European trip ended in her father's death. In New York City again, she evidently fell in love with Walter Berry; yet she became engaged to Edward Wharton, eleven years her senior and a wealthy Bostonian. They were married in 1885. The Greater Inclination, appeared—the first of her thirty-two volumes of fiction. In 1905, after Wharton began her friendship with writer Henry James (1843–1916), her first masterpiece, The House of Mirth, laid bare the cruelties of the New York City society. Her range was apparent in Tales of Men and Ghosts (1910), a collection of chillers, and in the celebrated novella Ethan Frome (1911). In 1910 the Whartons moved to France, where Edward Wharton suffered a nervous breakdown and was placed in a sanitorium, a hospital for the mentally unstable. After their divorce in 1913, Edith Wharton stayed in France, writing lovingly about it in French Ways and Their Meanings (1919) and other books. The Age of Innocence, a splendid novel of New York, won the Pulitzer Prize (1921), and a dramatization of Wharton's novella The Old Maid won the Pulitzer Prize for drama (1935). Edith Wharton died of a heart attack on August 11, 1937, and was buried in Versailles, France, next to Walter Berry. Dwight, Eleanor. Edith Wharton: An Extraordinary Life. New York: Abrams, 1994. Joslin, Katherine. Edith Wharton. New York: St. Martin's Press, 1991. Kellogg, Grace. The Two Lives of Edith Wharton: The Woman and Her Work. New York: Appleton-Century, 1965. Lewis, R. W. B. Edith Wharton: A Biography. New York: Harper & Row, 1975. Wharton, Edith. Backward Glance. New York: Scribner, 1934. Reprint, New York: Scribner, 1964.